How to Get Your VA Certificate of Eligibility for a VA Home Loan Approval. TIP #1: If you don’t have an urgent need (like an impending closing date), or a potentially deal-breaking question or concern please give VA a few business days to process your COE request, before checking on status. Currently, the majority of our incoming calls relate to Certificate of Eligibility (COE) processing – particularly requests for status updates. While VA’s COE staff is here to help answer your questions about COEs, it is important to note that the staff is currently processingCOE requests in about 4 business days, on average. Despite system enhancements that allow us to provide you instant COEs in over two-thirds of cases, record-setting loan volume means that our COE staff is working as hard as ever to process the remainder as quickly as possible. TIP #2: Please be sure the “T’s” are crossed and the “I’s” are dotted prior to submission of a COE request. Providing a complete and accurate submission increases the probability that VA can process your request instantaneously. We sometimes find that COE requests are missing critical pieces of information or that the submitter has forgotten to provide a required form (such as a National Guard member’s NGB-22 or a Reservist’s Points Statement). It may also be helpful to proof the forms you’re uploading to ensure they’re legible and complete. We find that oftentimes, submissions cannot be processed immediately online, only because a key data field or required piece of evidence is illegible, or missing. TIP #3: Please help us help you with your ‘special requests’ regarding COEs. If your borrower has a special circumstance that requires you to submit a request for more than just a standard COE issuance, it is helpful to provide details about that special circumstance in the “Notes” field of the COE submission page. Our staff can process your full request in an accurate and timely fashion if all the details are easily discernable. For example, if your borrower is submitting evidence of a name change along with her request for a COE, and you note both requests in the submission, our staff can easily and quickly discern that two actions are required of them and quickly process your request. If that same submission did not note the requested name change, staff may attempt to process only the COE request and initially reject it, due to non-matching information in our system. The “Notes” field can be found in the left-side vertical toolbar on the submission page. TIP #4: Please be sure your COE request makes it to the Internet in complete form. You may be used to other online web forms that allow you to hit “Enter” on your keyboard to navigate through sections of the form or complete a transaction. However, our online COE tool is a bit different. Hitting “Enter” to navigate through the page can result in your incomplete form being submitted to VA. If you hit “Enter” multiple times, we can get multiple incomplete requests for the same COE. Please also note that after you complete the form/process, you should click the “Submit” button in order for the request to be transmitted to our processing system. The “Submit” button can be found at the bottom center of the COE submission page. TIP #5: If you’re stuck or have a general question, you may find the answers you need in our web tutorials and guides. TIP #6: If you have issues with the web form or are experiencing other technological issues, the BEST way to report a problem or get help with a problem, is to email the system Help Desk atVIP.VBACO@va.gov rather than call the COE toll-free line. Can you do a Kentucky VA Cashout Refinance Mortgage Loan Up to 100% of the home’s value? Does VA allows 100% equity Cash-Out on Refinances for Kentucky VA Mortgages? Yes is the simple answer, but a lot of VA lenders will only go to 90%, so be careful shopping out there for quotes and qualifying info. VA allows Kentucky VA Mortgage holders and veterans to finance 100% of the purchase price of a home, but they also allow Kentucky VA Mortgage veterans to take cash-out up to 100% of the value of their home! You are still subject to the funding fee unless disabled, and the cash out maybe limited in hand depending on your credit score. Cash-Out Refinance up to 100% .Higher Credit Scores may be needed to get cash in hand after paying off existing mortgage. Subject to debt to income limits and acceptable appraisal. VA termite required again. The actual documented payment (documented in the credit report, in documentation obtained from the student loan lender, or in documentation supplied by the borrower). If the payment currently being made cannot be documented or verified, 1% of the outstanding balance must be used. Exception: If the actual documented payment is less than 1% of the outstanding balance and it will fully amortize the loan with no payment adjustments, the lender may use the lower, fully-amortizing monthly payment to qualify the borrower. The actual documented fully amortizing payment. Student loan reporting on credit with a balance of $15,000 and a payment of $55.00. 1% of the balance is greater than the payment reporting, so you would use 1%. If there is documentation showing a fully amortized payment of $125.00, you could use that payment instead of the 1%. May be excluded from the borrower’s total monthly obligations with evidence of a minimum of 12 months deferment from date of closing. If there is no monthly payment reflected on the credit report, a copy of the borrower’s payment letter or promissory note should be used to determine what payment amount to use. Fixed payment loans: A fixed payment may be used in the debt ratio when the lender retains documentation to verify the payment is fixed, the interest rate is fixed, and the repayment term is fixed. There must be no future adjustments to the terms of the student loan payments. Non-Fixed payment loans: Payments for deferred loans, Income Based Repayment (IBR), Graduated, Adjustable, and other types of repayment agreements which are not fixed cannot be used in the total debt ratio calculation. One percent of the loan balance reflected on the credit report must be used as the monthly payment. No additional documentation is required. VA Home Loans in Louisville, Kentucky Under the GI Bill, Active military personnel as well as their spouses may qualify a home loan in Louisville, Kentucky using the benefits for veterans. This loan program is designed to offer the most flexibility as well as affordability to veterans and their family for appreciation of services to our country. The VA’s guarantee a portion of the loan gives the veteran the ability to purchase a home with zero down payment. The most significant advantage of your VA home loans Louisville, Kentucky is that you can buy your with little to nothing out of pocket. As a former 19 kilo Army Tanker , the VA loans are my favorite, as I am able to assist other military members in realizing their dream of home ownership. Although, the VA does not require a credit score, the fact is the mortgage lenders do. From the lender’s stand point, they require that you have a minimum credit score of 620 or above. With no money down, lenders take on ALL the risk when agreeing to finance a VA Loan. The bottom line: you will not be able to get a VA Loan With Bad Credit. VA Loan Rates are 30 Year Fixed to avoid fluctuation in payments that may lead to default. The VA loan is a special loan designated for united states veterans. 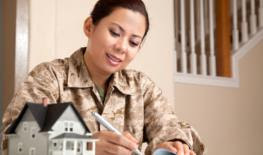 All military service personally are no eligible; there are additional requirements when seeking a VA Home Loan. If you are a veteran and located in the Kentucky, this will be your most cost effective loan option to finance your new home purchase. To learn more about the various loan types and options, contact us to today! Who is eligible for Kentucky VA loans? Kentucky VA loans are available to veterans of the United States Armed Forces, including those who are on active duty or reserve, as well as widows or widowers of veterans. There are also special circumstances under which spouses of veterans can also apply for eligibility. What benefits do Kentucky VA Loans offer veterans? I don’t need originals, copies are fine. You can fax or email me the above documents. Documents Needed for a Mortgage Loan Approval. via Documents Needed for a Mortgage Loan Approval.